Firetherm are one of the UK's leading manufacturers of firestopping products with a large range of fire barriers, collars and sleeves, sealants and adhesives - all distributed by Rawlins Paints - for firestopping applications. Inspected quarterly by Warrington Fire Research, Firetherm hold a BS EN ISO 9001 certificate, indicating that their finished goods are indentical to the tested product. 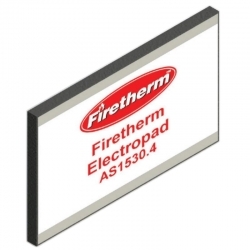 Their optical tracer technology (called Optifire) enables Firetherm to ensure the specified product in an installation is a genuine Firetherm product and not an inferior derivative product without any certification. This type of product recognition is not offered by any other fire-stopping manufacturer. 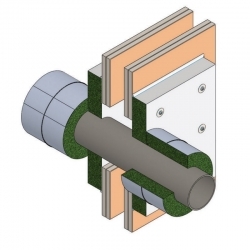 Application methods, coverage and surface preparation techniques are available for each product in the attached datasheets – more information is available on request. One of the UK's leading manufacturers of firestopping products with a large range of fire barriers, collars and sleeves, sealants and adhesives - all distributed by Rawlins Paints - for firestopping applications. 95% of Firetherm products are manufacturered from raw materials, with an on-site research and development department continually looking for innovations and new ways to ensure products comply with current health and safety requirements. 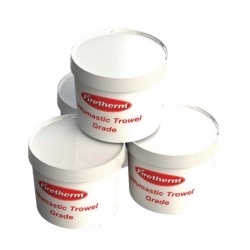 Firetherm's wide range of firestopping products apply to walls, floors and ceilings as well as the services that penetrate them, with adhesives and sealants for applying and finishing a firestopping application. 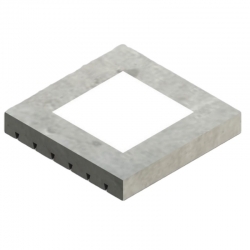 Firetherm's optical tracer technology (called Optifire) enables specified products to be identified in an installation as a genuine Firetherm product and not an inferior derivative product without any certification, a service not offered by any other fire-stopping manufacturer. 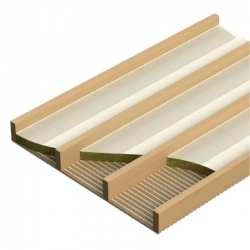 Passive fire protection and firestopping products can help delay the spread of smoke and fire through a building, buying extra time for evacuation and potentially saving lives, and can help prevent further damage, more downtime, and lost trade for businesses. 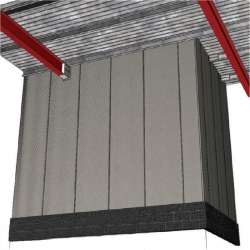 Offering protection all across a project, from cavity fire barriers and soffit protection to fire batts and compartmentalisation, Firetherm designs to protect structures throughout every sector - retail, commercial, infastructure, leisure and entertainment, public sector and industrial. Contact us today for technical and product support across a wide range of surfaces and substrates.